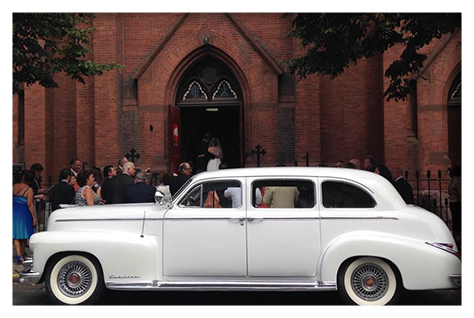 On the day you marry the love of your life, travel in a beautiful vintage vehicle with wedding transportation from Executive Stretch in Brooklyn, New York. We first sit down with clients to discuss the number of passengers, routes, times, and any special needs. 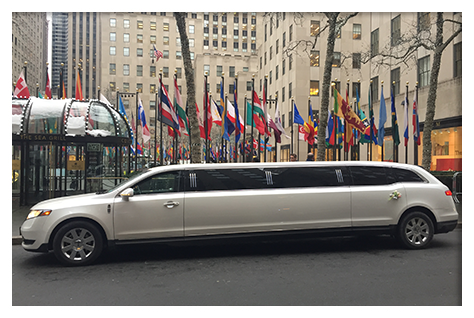 Our goal is to help you stay on schedule and make this milestone occasion even more memorable. Reserved for royalty, the 5-passenger Packard with a convertible front is fully modernized with front and rear air conditioning. It is capable of traveling long distances at reasonable speeds. 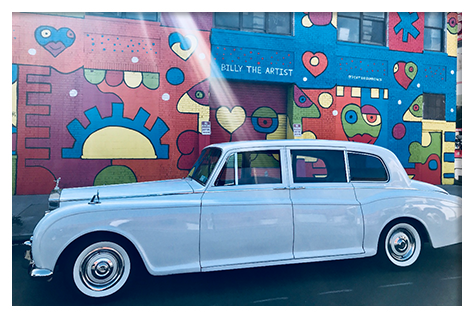 With pull-down seats and room for 5 passengers, this is one of the Queen of England's favorite means of transportation. It really makes you feel like a princess! This luxurious vehicle in white or black features high, stainless-steel ceilings for added comfort, as well as a 13-inch TV, surround-sound stereo, and fiber optics. It's the ultimate smooth ride for 8 to 14 passengers. The 5-passenger Fleetwood was one of America's luxury automobiles back then. Ours is snow white and has two-toned leather on the interior.